From the joys and challenges of a new Dad to the complex issues around caesarean birth the Spring issue of the natural parent has something for all parents and parents to be! Kate Mathewson looks into the ideas around feminism and the stay at home mother, and Pinky Mckay breaks down some of the myths around co sleeping. Happy children equal happy relationships and now that it’s Spring time there’s many more opportunities to get outside and enjoy everything that nature has to offer. On page 24 Dr Laura Markham discusses how nature makes kids calmer, healthier and smarter. 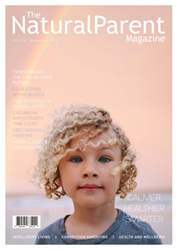 Have a wonderful springtime with your families, and we hope you enjoy this issue of the Natural Parent Magazine.